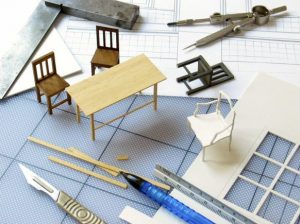 What you need to build a miniature house?There’s a LOT that goes into building a miniature house. From the walls down to the tiny door handles, considerations need to be made before you start so that the builder will have few problems with the construction. It will be hard to get the measurements and proportions correct, so it is best to be as prepared as possible! Often miniature houses come in kits, which will make things easier for crafters, but if you’d like to try a DIY, here is a basic guide of what you may need to build your house. To get started, you need to have the right tools. These are the things in your household that would be useful: toothpicks, needles, paper towels, masking tape, a pair of small, sharp scissors, water containers, a pen, and notebook. The other things that you’ll need can be purchased at any hardware or craft store, for example, Sistina Art Supply in Sliema, Malta, or Howards, on the corner of Guze Howard and Triq Amery. You’ll need an X-acto knife, pliers, a cutting mat, a steel ruler, wire cutters, sanding tools, a scale ruler, and a set square. After making sure you know how to use all of these things, you should consider the structure of your house. What materials will you need to build it? There are countless options to this question. The structure can be made of clay, balsam wood, medium density fibreboard, Gator board, or lime strip wood, or any other material that you can easily research online. 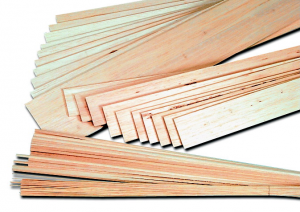 An online wood outlet called Wood-Supplies is very helpful. They have a huge selection of wood for the aspiring and seasoned miniature builder. Midwest Products is another site to consider for these things. The next thing you need to consider is surfacing and decoration. The quality is in the details; your house will need furniture, paint for inside and out, wallpaper, floor appliances, lighting and wiring (if required), as well as dolls or artefacts like clothing, books, lamps etc. These things can be purchased online or made by hand. The Little Dollhouse Company has all of these things and more, and you can visit the company’s site online. They also supply kits that have everything you need already organized for you so that you can simply get started. The next and ultimately last thing you need to think about is the exterior of your house. Would you like it to be displayed in a particular way? Do you want it to rotate or be stationery? Is it being built inside of a piece of furniture? Are you building a whole town or a Christmas village? Again, the fun is in the details, and you’ll need at least some of the following: material for the exterior of the house itself; a door, handles, hinges, a fence, gates, shutters for windows, wall siding, roofing, etc.? These things are all available at sites dedicated for miniaturists, like The Little Dollhouse Company. Hopefully, this has been helpful!